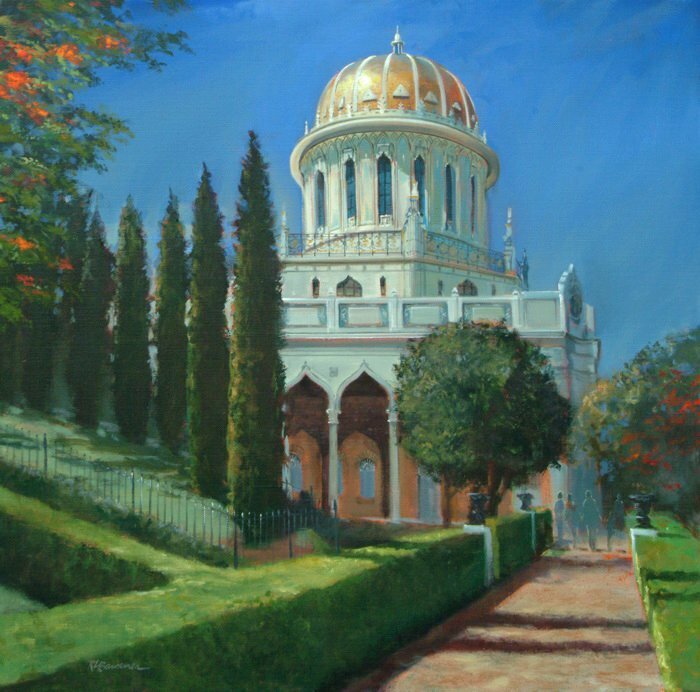 This is the Shrine of the Báb located in Haifa, Israel. It is one of the Holy Places of the Bahá’í Faith which sits on Mount Carmel among acres of beautiful gardens. I became a Bahá’í way back in the late 60’s so this was a very special painting when I created it recently. © 2019 Roger Bansemer. Site designed by First City Media.